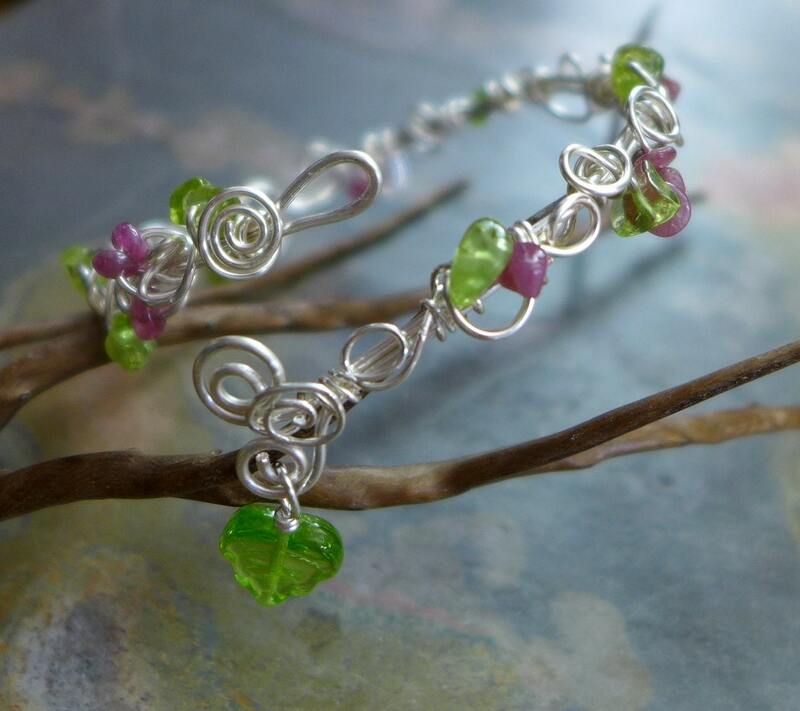 This beautiful beaded bracelet is hand wire wrapped using semi transparent green Peridot & Pink Tourmaline gemstones using tarnish resistant silver craft wires in various gauge. 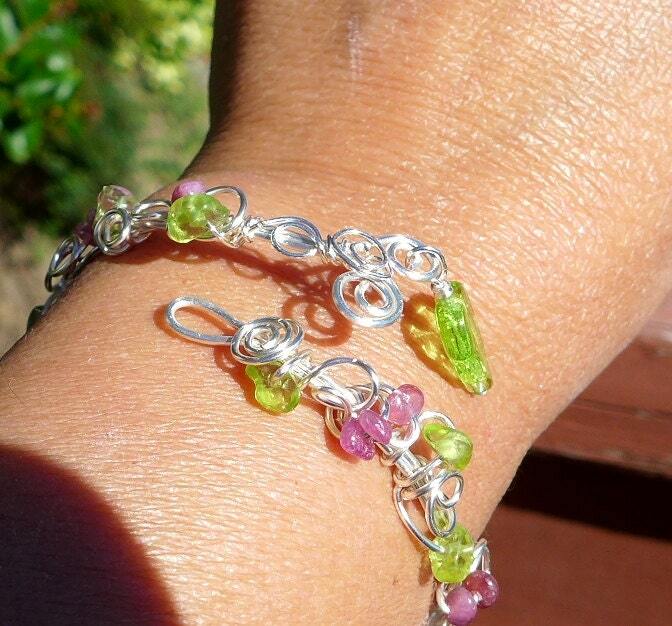 The Peridot/Pink Tourmaline gemstones measures between 4 to 7 mm which displays nice olive green /pink mauve colors. 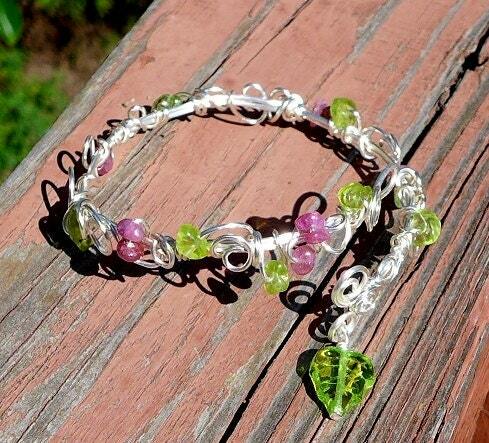 This pretty wire wrapped bracelet is finished with glass flower bead. 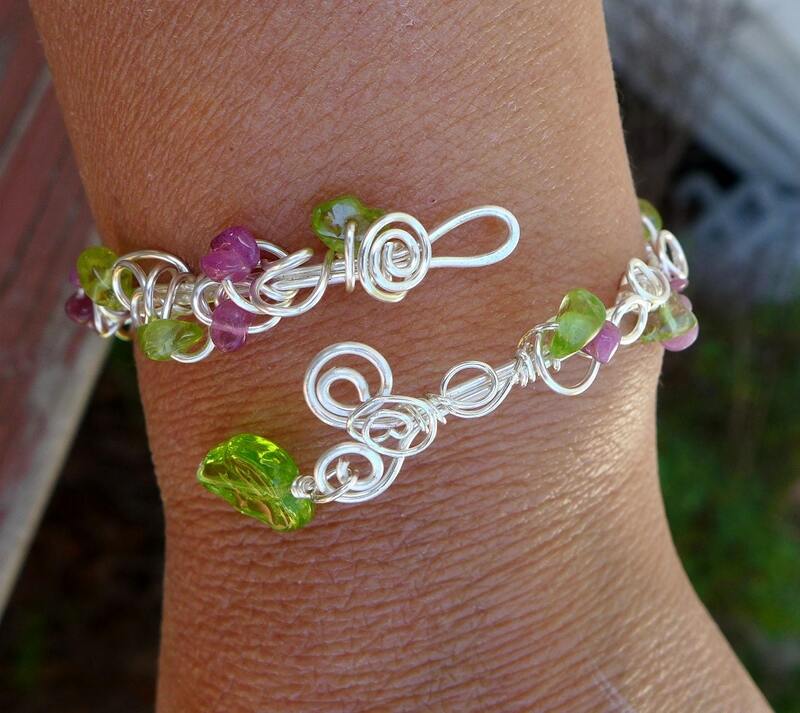 This adjustable bracelet will fit most of the wrist if you are wearing 7 to 8.5 inch bracelet. It is easily bendable, so you can adjust to your wrist. 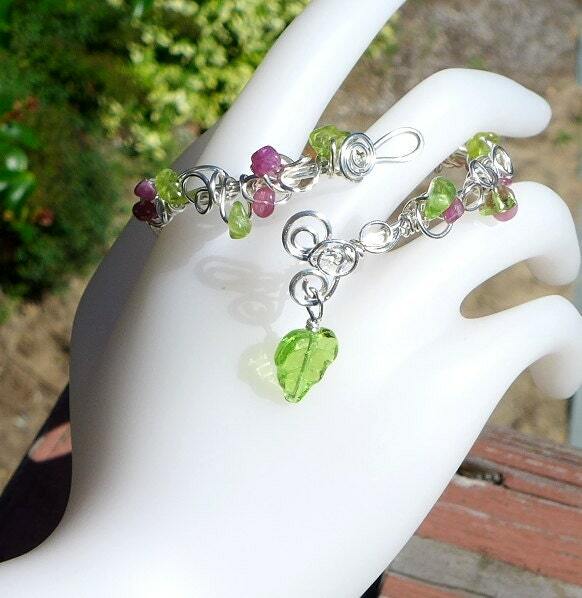 ***I can customize your bracelet with different gemstones & metals.